Dr. McNeil’s research interests revolve around the development and evaluation of innovations in medical education and in the care of women. She is the director of the joint VA/University of Pittsburgh Women’s Health Fellowship and also serves as the Program Director for the NIH-sponsored Building Interdisciplinary Careers in Women’ s Health grant, which is an institutional career development award for faculty members interested in developing research careers in women’s health. She has more than 50 peer-reviewed publications on diverse topics ranging from the evaluation of women’s health educational efforts, the impact of women’s health fellowships on career trajectory, an evaluation of the implementation of new breast cancer screening guidelines, and the evaluation of burnout in medical residents, with a particular interest on gender differences in burnout. In 2014, Dr. McNeil was named the Society of General Internal Medicine’s Distinguished Professor of Women’s Health in recognition of her wide-ranging and diverse initiatives in the field of women’s health. Dr. McNeil has championed the concept of gender-specific primary care for women. The focus of her clinical efforts has been the development of clinical programs that allow women to receive both traditional primary care and gender-focused care (e.g., contraception, cervical and breast cancer screening, and menopause management) from one provider thus minimizing the fragmentation of health care so common for women. Dr. McNeil has been influential in national policy initiatives including serving as a member of the Society of General Internal Medicine’s Task Force on Women’s Health, the VA Women’s Health Strategic Working Group, the Breast Cancer Screening Measurement Advisory Panel for the National Committee for Quality Assurance, and the American College of Obstetrics and Gynecology Task Force on the development of the Well-Woman Examination. 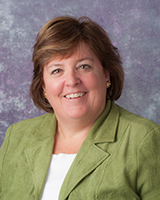 Dr. McNeil currently serves as the Vice Chair of Education for the Department of Medicine. Her special interest as an educator has been in the development of training programs designed to develop leaders in women’s health education and research. She pioneered the development of the Women’s Health Track of the Internal Medicine Residency Program at the University, as well as the VA-sponsored Women’s Health Fellowship. More than 85 residents and 25 fellows have graduated from her educational programs and have gone on to successful careers in academic women’s health. Dr. McNeil has been widely recognized both locally and nationally for her achievements. From the University of Pittsburgh School of Medicine, she has received the Charles Watson Award for Teaching Excellence, the Donald S. Fraley Award for Student Mentoring, the Schuit Award for Master Educator, and multiple awards from the medical students for teaching excellence. She has received both the Intern and Resident Best Teacher Awards from the medicine residents. In 2016, she received the Society of General Medicine’s Career Achievement in Medical Education Award, which recognizes an outstanding clinician-educator for their lifetime contributions in medical education, both at their institution and nationally. Spencer AL, McNeil M. Interdisciplinary curriculum to train internal medicine and obstetrics-gynecology residents in ambulatory women’s health: adapting problem-based learning to residency education. Journal of Women's Health. 2009; 18: 1369-1375. Tilstra SA, Kraemer KL, Rubio DM, McNeil MA. Evaluation of VA Women's Health Fellowships: developing leaders in academic women's health. Journal of General Internal Medicine. 2013; 28: 901-907. Spagnoletti CL, Spencer AL, Bonnema RA, McNamara MC, McNeil MA. Workshop preparation and presentational at a regional, national, or international meeting: A valuable from of scholarship for the clinician educator. Journal of Graduate Medical Education. 2013; 5: 155-156. Corbelli J, Borrero S, Bonnema R, McNamara M, Kraemer K, Rubio D, Karpov I, McNeil MA. Differences among primary care physicians’ adherence to 2009 ACOG guidelines for cervical cancer screening. Journal of Women's Health. 2014; 23: 397-403. Corbelli J, Bonnema R, Rubio D, Comer D, McNeil M. An effective multimodal curriculum to teach internal medicine residents evidence-based breast health. Journal of Graduate Medical Education. 2014; 6: 721-725. McNeil M. Women veterans and intimate partner violence: a labyrinth of cause and effect. Journal of Women's Health. 2014; 23: 286-287. Bump GM, Zimmer SM, McNeil MA, Elnicki DM. Hold over admissions: are they educational for residents?. Journal of General Internal Medicine. 2014; 29: 463-467. Corbelli J, Borrero S, Bonnema R, McNamara M, Kraemer K, Rubio D, Karpov I, McNeil M. Use of the Gail Model and breast cancer preventive therapy among three primary care specialties. Journal of Women's Health. 2014; 23: 746-752. Corbelli J, Borrero S, Bonnema RB, McNamara M, Kraemer KL, Rubio DM, Karpov I, McNeil MA. Physician adherence to US Preventive Services Task Force mammography guidelines. Women's Health Issues. 2014; 24. Kransdorf LN, McNeil MA, Files JA, Jenkins MR. Women's Health 2015: An update for the internist. Cleveland Clinic Journal of Medicine. 2015; 82: 759-764.